This little, nameless brook rushes over a waterfall along South King Street near the church. Its pleasant shooshing sound merges with road noise whenever a car passes. 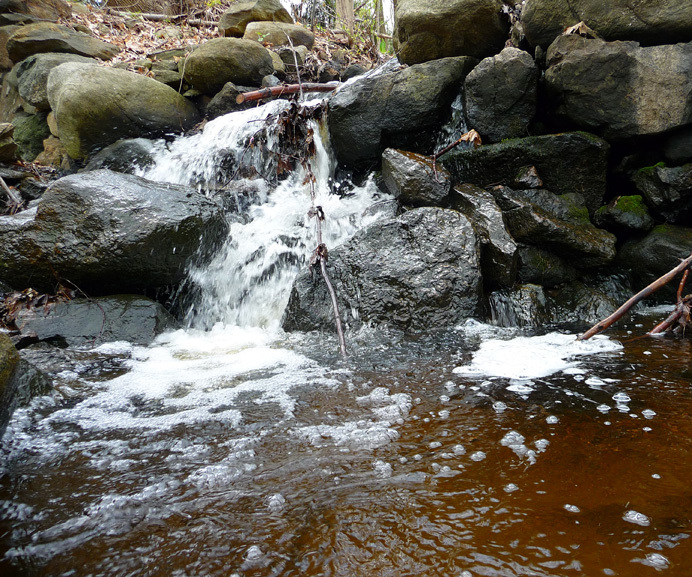 Suds and bubbles may indicate that it is picking up detergents from septic systems along its banks. The water smells clean, but has a tea tint (visible at right) that argues for impurities, or perhaps a heavy concentration of tannins from the carpet of oak leaves in the woods.